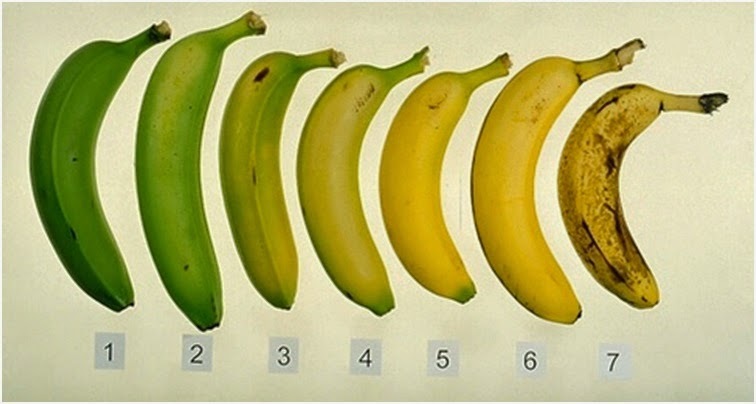 Did you know that the nutritional properties of bananas change as they ripen? Have you noticed that the taste of the bananas changes as they ripen, it gets sweeter? This happens because of the enzymes contained in the bananas are progressively breaking down the starch (a long polymeric form of sugar that doesn’t taste sweet) turning it into simple sugars (disaccharides or monosaccharides which taste sweet). When the banana ripens that means that the starch has already turned into simple sugar and it is easier to digest. Although according to researches, the quantities of vitamins and minerals reduces as the banana ripens. That is why it should be stored in a refrigerator. Japanese researchers discovered a very interesting fact about bananas. According to them as the banana ripens it produces more antioxidants and more anticancer properties. When the banana is fully riped with dark spots on the yellow skin it produces a substance called TNF (Tumor Necrosis Factor), a substance that can combat abnormal cells. The research also shows that the more darker spots it has the better the anti-cancer properties are. Moreover, a banana with yellow skin and dark spots is eight times more effective in boosting body’s immune system than the green skin banana.